The Global Women’s Water Initiative is proud to welcome back GWWI 2011 Fellow Epi Bodhi who just returned from Burundi where she worked with international non-profit Village Health Works (VHW) to train their team to recognize the link between water and health and to promote practices that would reduce the risk of water-related disease. VHW strives to provide quality healthcare to the people of Burundi, with a special program focusing on women, as the United Nations ranked Burundi as one of the world's five worst places for women and children. Nearly 1 in 10 women die during pregnancy or childbirth and nearly 1 in 5 children die before their 5th birthday. Epi conducted Water, Sanitation and Hygiene (WaSH) education seminars for more than 100 accompagnateurs or Community Health Workers (CHW). CHWs are the eyes, ears and spokespeople of VHW and provide advice and health services to the community at large. 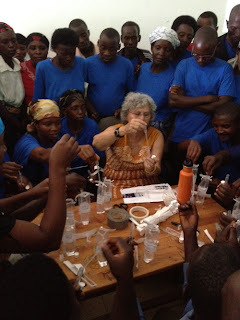 The CHWs learned to test their water using the Portable Microbiology Lab and to identify strategies for improvements and/or interventions in their current water situation to prevent water related illnesses. After attending the WaSH Training, they intend to integrate comprehensive hygiene training and education into their community outreach. Epi has a long background in community health as the former Director of Public Health of Amherst, MA. She applied to the GWWI Fellowship program with the intention of deepening her knowledge in public health on an international level. GWWI selected her from a pool of impressive candidates from all over the US based on her experience transforming her local Department from being not just a provider of public health services but also focusing on social justice. Under her leadership, the department worked on everything from water quality to domestic violence to HIV/AIDs to health access and health equity. 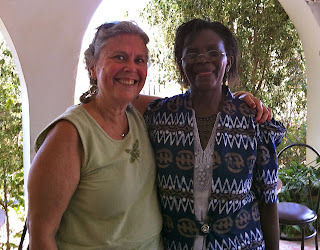 Through GWWIs Fellowship program, which links international and East African women to become WaSH Facilitators and trainers, Epi was able to meet and work in collaboration with her public health counterparts in East Africa to share experiences and to learn and collaborate with women addressing their communities’ most pressing needs. Epi learned WaSH Education and appropriate technology construction alongside the GWWI East African Fellows to be able support the GWWI grassroots women’s teams to plan and implement their water strategies when they returned home to their villages. 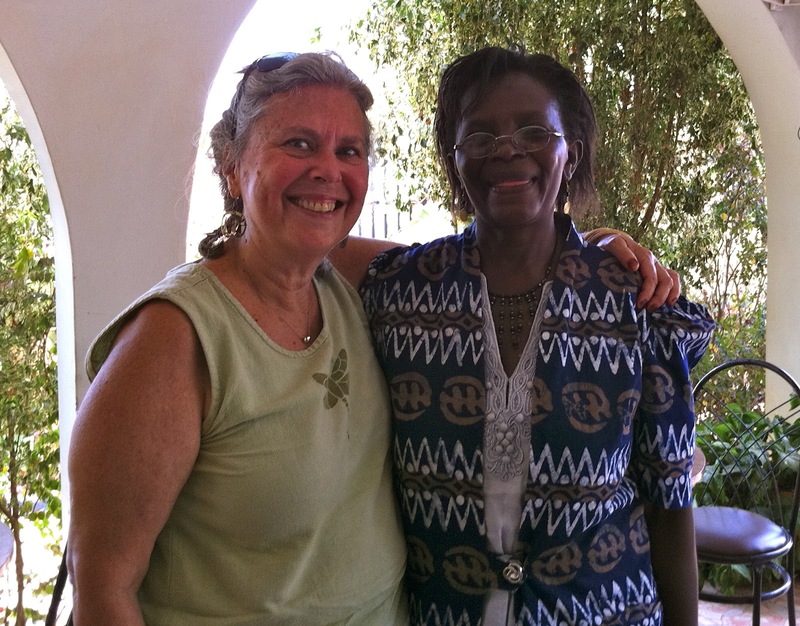 Through the GWWI Fellowship program, Epi was also able to travel and provide support directly on site in their villages, as well as throughout the year as their programs progressed via email and phone. After attending the GWWI training, Epi was invited to conduct WaSH seminars for VHW, an organization founded Deogratias (Deo) Niyizonkiza, who’s extraordinary story is told in Tracy Kidder’s Strength in What Remains, a New York Times best seller named one of the best books of the year by the Washington Post, the San Francisco Chronicle, the Los Angeles Times, and the Chicago Tribune.